We did a driving trip so location was not a problem. In fact there is a train station nearby (3 mins walk). The room includes dinner + breakfast. Both meals were very satisfactory. The service staffs were very polite and considerate. They even have one staff who spoke perfect English hence was able to assist with our requests. 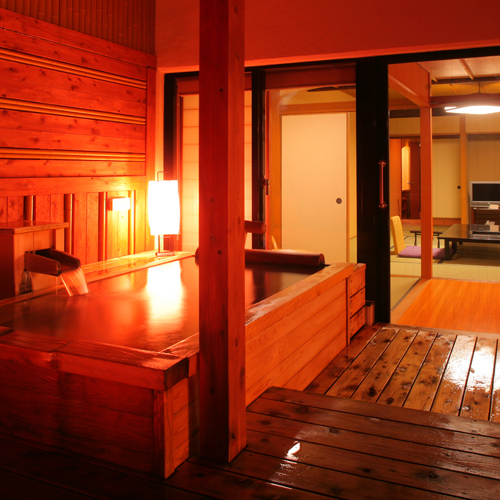 The onsens were very clean and well maintained (indoors and outdoors). The view was also magnificent (by the kurobe gorge). All in all, we were very happy with Enraku. 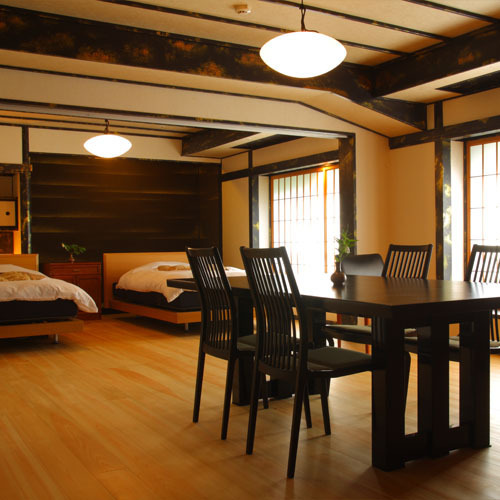 Located just a stone's throw away from Unazuki Onsen Station. 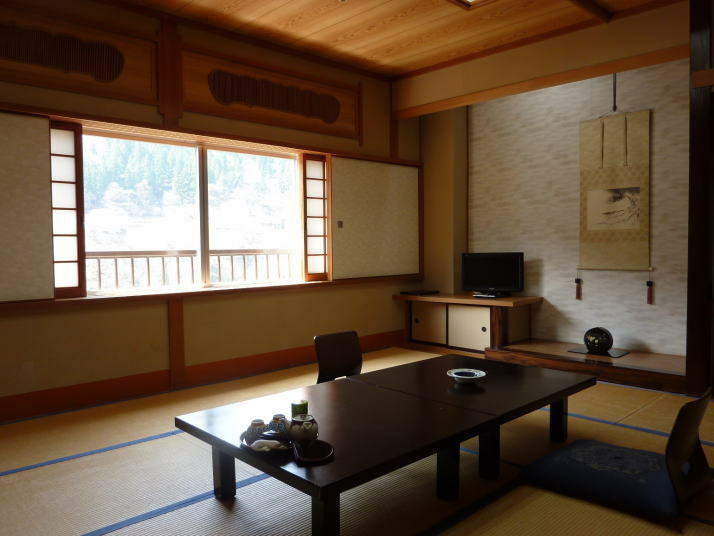 The famous Kurobe Gorge and it's distinctive red bridges can be easily accessed from this wonderful ryokan. The staff are flawless in service, attitude and helpfulness. The kaiseiki meal was pure delight! 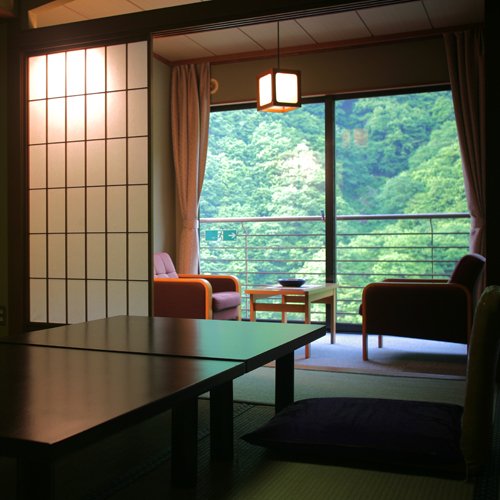 The spacious tatami room boasted a magnificent view of the river and mountain! 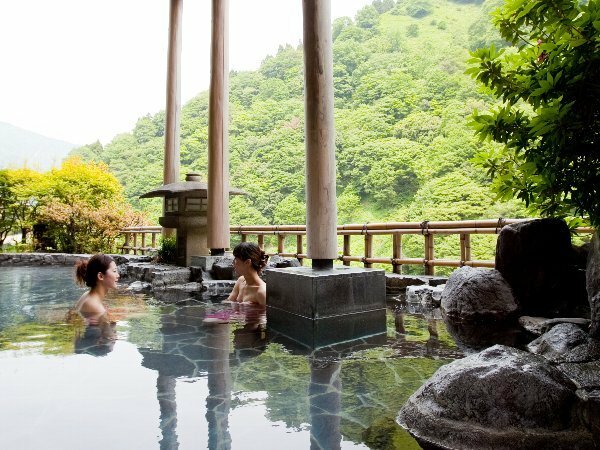 The onsen facilities were out of this world, again offering views of the river and mountain. 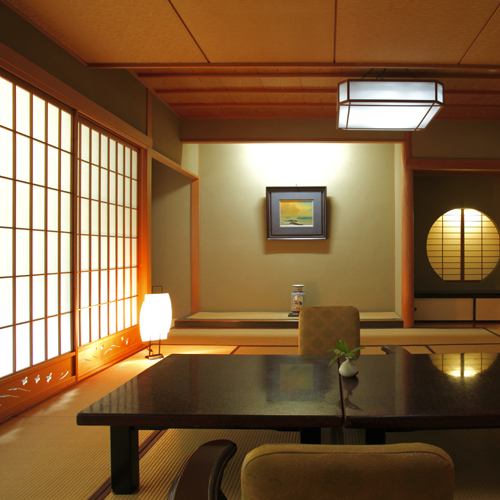 For a taste of traditional Japanese hospitality, cuisine and ambience, Enraku is perfect! The view, the onsen and the dinner. Amazing staff! Also offered pick up service from train station. Our room was facing the river and the mountains, the view was amazing. I'm usually skeptical of sleeping on futons but the bed was so comfortable, I had great sleep. The onsen experience was wonderful. The service was top notch and the meals were of such high standard with such thoughtfulness, that alone made the price we paid worth it. The location is close to the train station and only few minutes walk from th gorge. We had a wonderful two night stay. The room was very large, with a great view if the river and george. 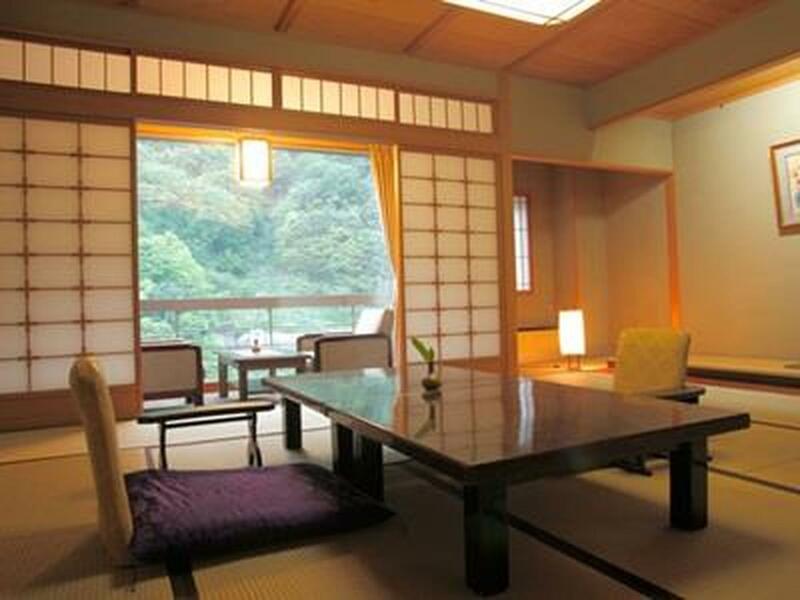 the service was first class, from the front desk to to maids who served tea on arrival, helped you with the yukata and served multi-course meals. Meals would have twenty to thirty different dishes to taste. A small hibachi would make warm to do, or noodles or Shabu Shaun at the table, always featuring local gourmet foods. The onset baths were great and the water made your skin silly smooth. Just a great hotel. The rooms were large, comfortable and very lovely. The food was plentiful. Love the hot spring with the river view. Stay was good, we stayed for a night. 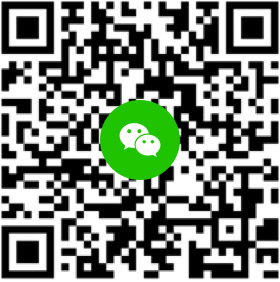 Was annoyed that we tried to change our booking from 5 to 4 pax, agoda said that the cost was the same! 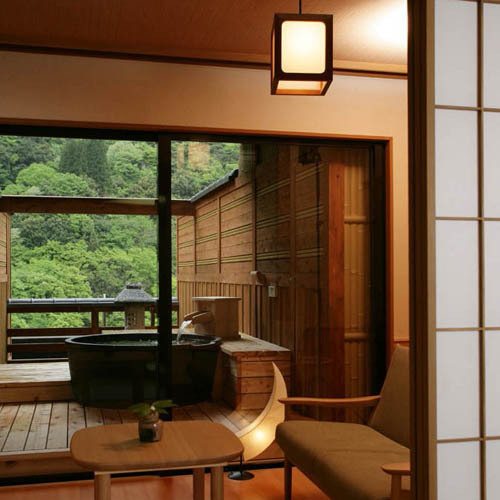 Ryokans in Japan generally charge per pax, Not by room, because cost includes a gourmet dinner and breakfast. Unfortunately it was close to date and we had no choice but to continue with this booking. 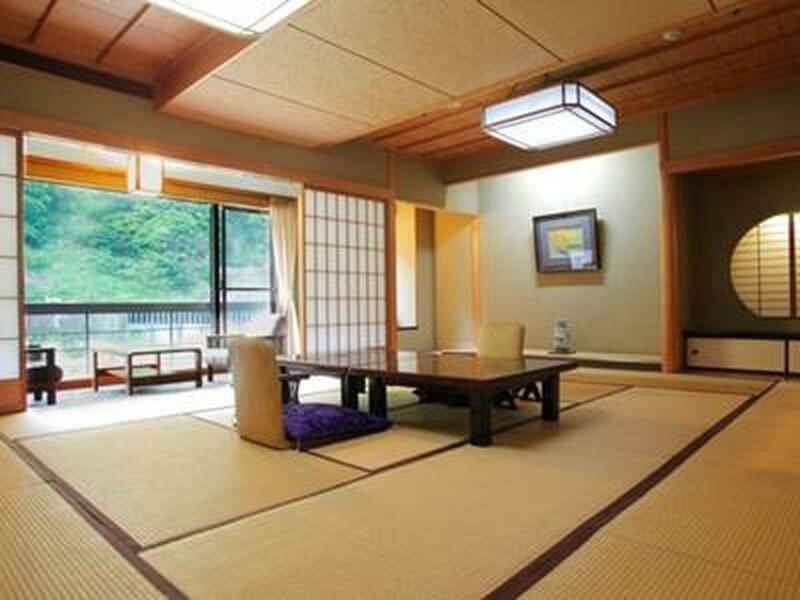 For a high class ryokan the service isn't on par with others i have visited in other parts of Japan. The room attendant didn't give us information like meal times - it may have been because she wasn't comfortable in English. Dinner was very scrumptious but hurried. The outdoor onsen was very nice. They prepared a special cocktail with the meal for my parent's 40th anniversary. Rooms were a delight. 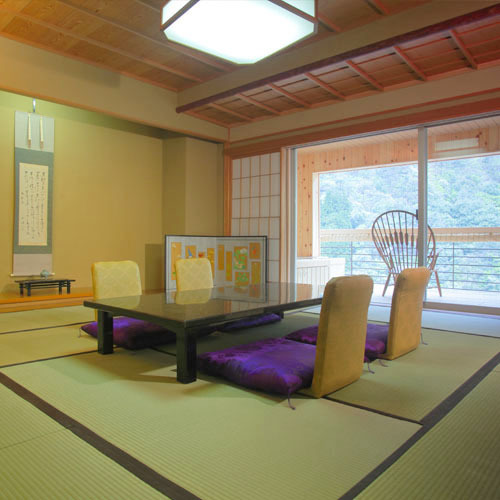 Large rooms and very comfortable futons. 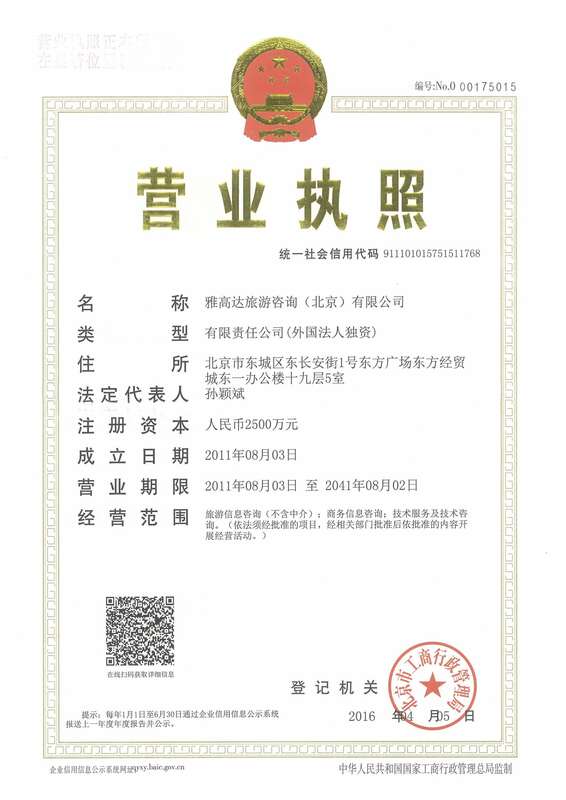 Overall, good, but it could have been better Esp in term of service, flexibility of cost. Plus not much to do in the area apart from the hotel.